Debenhams said it is in "advanced negotiations" with its lenders to put in place a new £150m bank loan, it said on Monday. 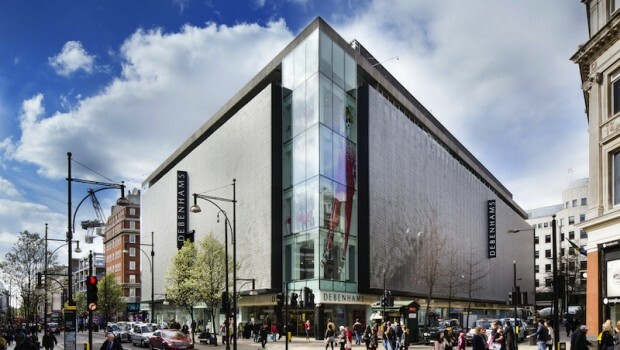 Part of the troubled department store group's new facilities will be used to refinance the £40m bridge loan announced on 12 February, which had contained provisions for a step-up in pricing during the second quarter of the year. With net debt as of 5 January of £286m and a committed debt facility of £520m that expires next year, last month the group's existing lenders and bondholders agreed to waive and amend certain terms over its current bank facility. Debenhams is thought to be looking at a larger refinancing, such as debt-for-equity swap, alongside a Company Voluntary Arrangement that would involve the closure of 20 to 50 stores, dependent on the rent reductions secured across its 166-store estate. Last week, just a few days after the group reported that its sales decline had eased off but there were doubts over its profit expectations, an extraordinary shareholder was called by major shareholder Sports Direct, which wants to remove all but one of the current board and appoint its chief executive Mike Ashley as an executive director. Sports Direct owns the House of Fraser department store chain and has a near-30% stake in Debenhams. Analyst John Stevenson at stockbroker Peel Hunt said: "While the frequency of updates has moved up a notch following the recent moves by Mike Ashley to oust the current Board at a forthcoming EGM, we still expect the solution to be driven by a CVA and wider balance sheet restructuring, which will involve some form of highly dilutive equity fundraise."